Stove Bright® high temperature coatings have been developed to provide the highest quality coating for use in applications that require heat resistance up to 650°C. With continued research and development, these coating formulations continue to exceed industry demands for improvements in rust protection, chemical resistance, low smoke and other performance characteristics. Over 30 colours are available in an easy-to-apply and quick-drying system, and are available in most colours. Stove Bright® is used by many of the leading stove manufacturers worldwide as their factory finish. If you are a UK company with high temperature paint requirements Contact Us today. 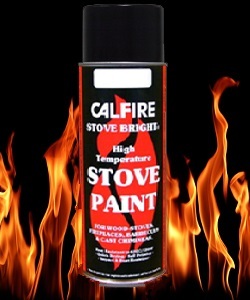 Stove Bright® High Temperature Paint is the industry's premier high temperature paint. It is formulated with a unique blend of heat resistant pigments in a silicone polymer resin that provides excellent colour retention and film integrity in working temperatures up to 650oC. 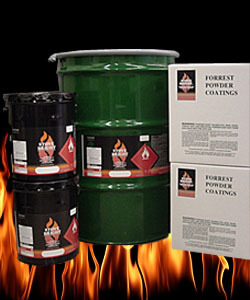 Stove Bright® High Temperature Paint is designed for rapid curing and great working properties over ferrous metal surfaces. It is ideal for wood, pellet, and gas stoves as well as stove pipes, engines, engine manifolds, and many other metal substrates that are subject to high temperatures. Available in a wide range of colours to suit almost any need, and comes in both easy to use aerosol and brush-on formulas to accommodate any project. Touch up available in Flat, Metallic and Satin black. If you are a UK company and wishing to stock Stove Bright® Contact Us today. If you are a member of the public and would like to buy some Stove Bright® please Contact Us today and we will be happy to provide details of your local stockist or on line sellers.